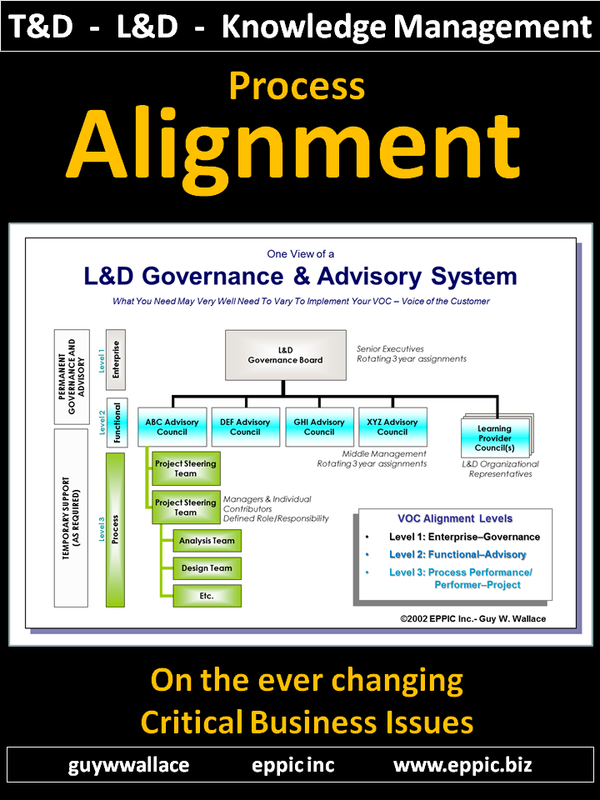 Either you buy into the Maturity Model thing – or you don’t. 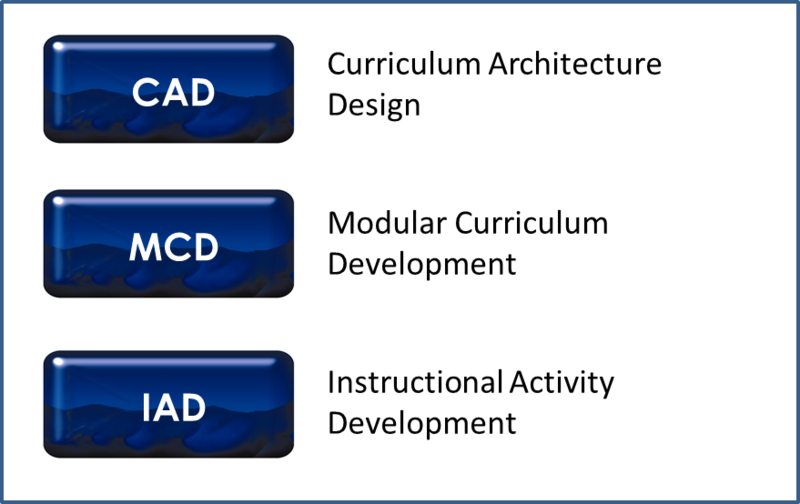 Here is my example of that concept applied to ISD – Instructional Systems Design – sometimes known as Learning or Training or Knowledge Management – or some variation on those ideas/concepts. You need to start where you are – and climb the steps of the MM – as adapted to your culture/language/etc. 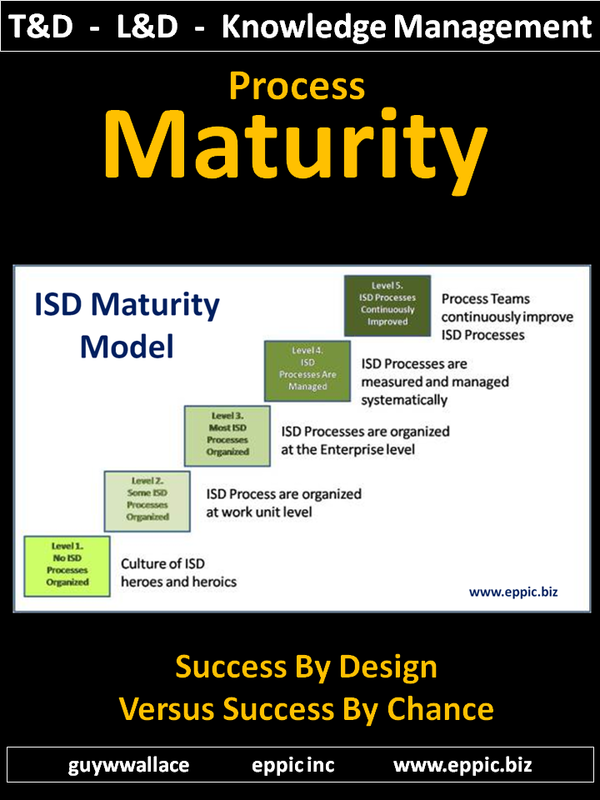 So if it is a Valid Need with Enough ROI Potential – What Is Your L&D Function’s Response “Maturity” Level? If you are going to improve your Processes continuously – you’ll need a model for what they are – so you can divide and conquer (improve) while keeping a systems perspective. 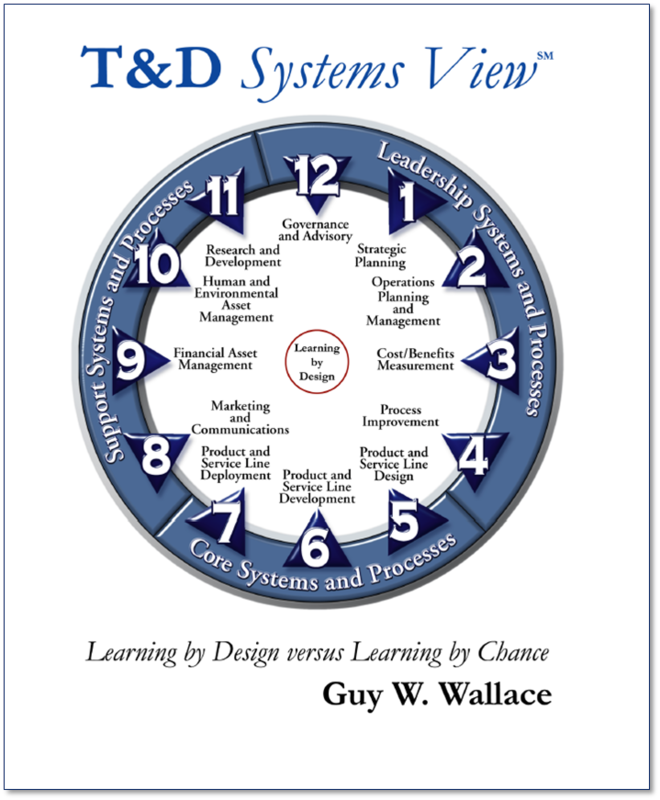 2001 book… T&D Systems View… as a paperback for $20.00 USD plus s&h. And there is a Final Friday series in 2015 with a focus on the 12 sub-systems of a T&D System – per my model. Having your Processes all dressed up and ready to go – is only the capabilities getting ready part – it’s the execution part that’s important – and it’s the front end of that ready-aim-fire execution that produces results worthy of the investments – IMO anyway. 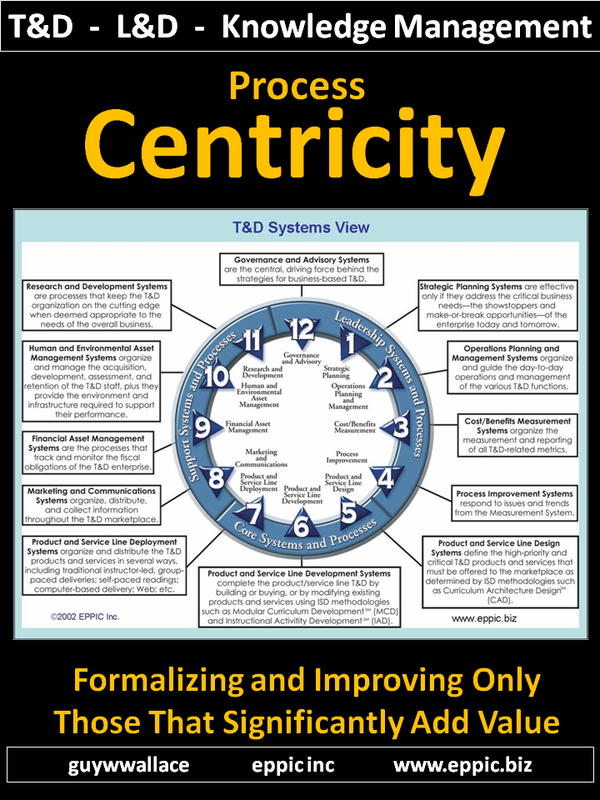 How formal or informal or blended your approach to alignment is critical to the successes of your efforts. I don’t subscribe to improving or formalizing everything – just because you can. But – because you should. Alignment Is Important. Alignment to What? And Who Should Help You Decide That? 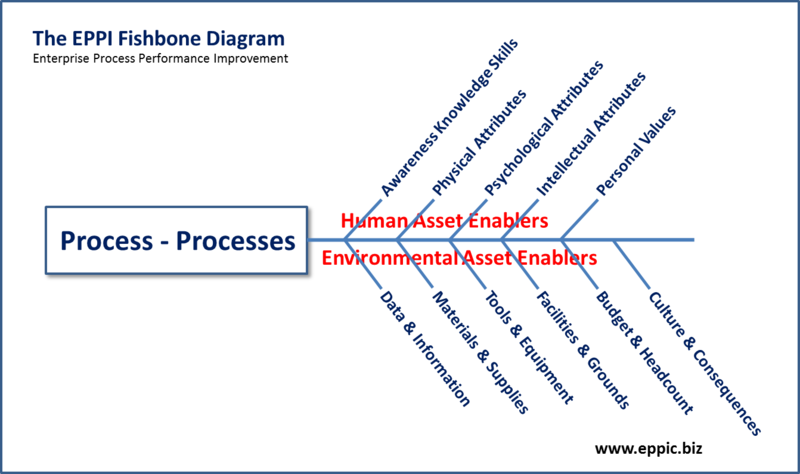 Using visible, defined processes that are focused on their needs – that continuously improve – as needed by those Stakeholders. 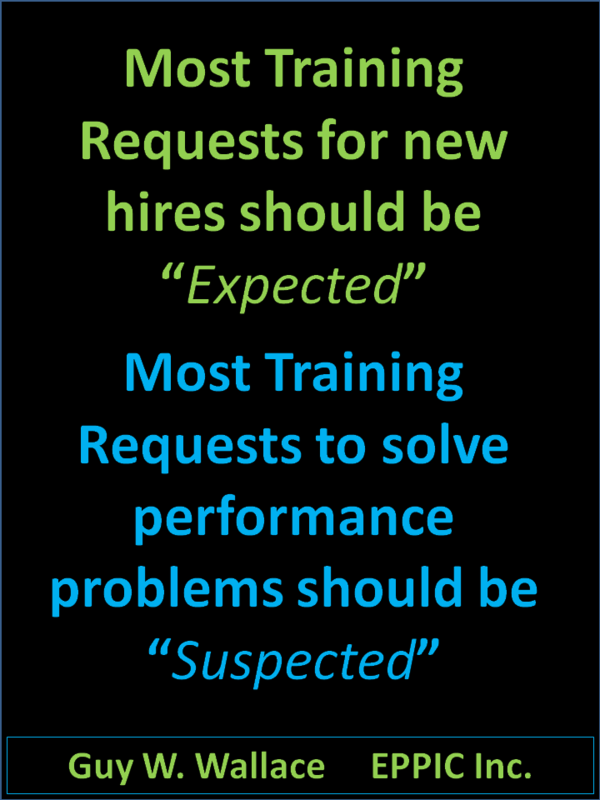 Because not all processes are equally important. 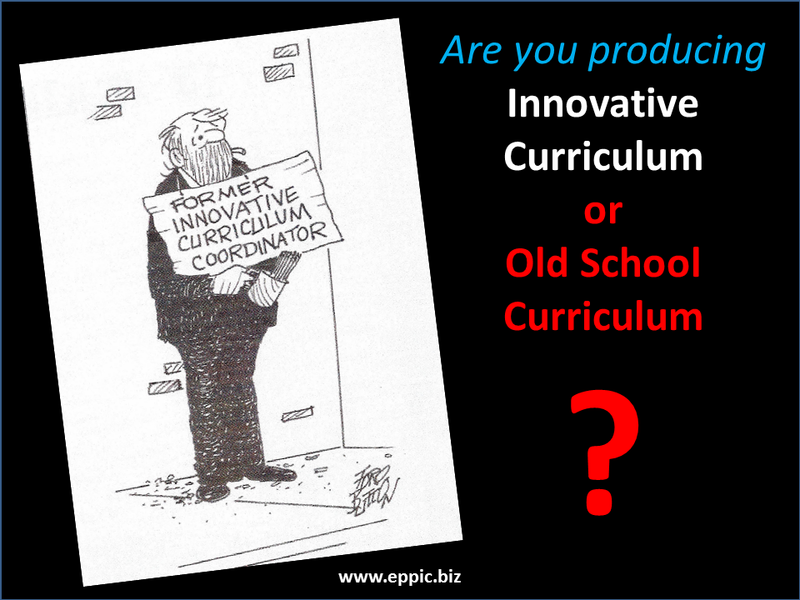 And that picture changes over time – and needs continuous assessment as to its adequacy.